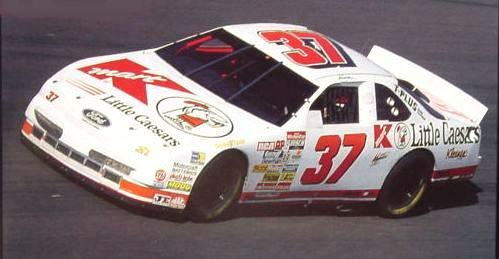 1995’s first entry, this John Andretti Little Ceasers/K-Mart Ford Thunderbird is our subject. The white background looks good. The red stripe works. The red drop shadow on the roof isn’t needed. The hood looks crowded, given the number of logos present. I can’t complain on the sides, they aren’t cut off by the wheel well. I really like this car, it’s a really good look. Next Post Coin Down Chicago Bears!